édité le 24/10/2014 - Plus de news de "CHEVRON" - Voir la fiche entreprise de "CHEVRON"
Chevron Corporation announced a new oil discovery at the Guadalupe prospect in the deepwater U.S. Gulf of Mexico. The Keathley Canyon Block 10 Well No. 1 encountered significant oil pay in the Lower Tertiary Wilcox Sands. The well is located approximately 180 miles off the Louisiana coast in 3,992 feet of water and was drilled to a depth of 30,173 feet. "The discovery further demonstrates Chevron's exploration capabilities," said George Kirkland, vice chairman and executive vice president, Upstream, Chevron Corporation. "Guadalupe builds on our already strong position in the deepwater U.S. Gulf of Mexico, a core focus area where we expect significant production growth over the next two years." 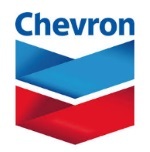 Chevron subsidiary Chevron U.S.A., Inc. began drilling the Guadalupe well in June 2014. More tests are being conducted on the discovery well and additional appraisal wells will be needed to determine the extent of the resource. Chevron U.S.A., Inc., with a 42.5 percent working interest in the prospect, is the operator of the Guadalupe discovery well. Guadalupe co-owners are BP Exploration & Production, Inc. (42.5 percent) and Venari Resources LLC (15 percent). Chevron (NYSE: CVX) is one of the world's leading integrated energy companies, with subsidiaries that conduct business worldwide. The company is involved in virtually every facet of the energy industry. Chevron explores for, produces and transports crude oil and natural gas; refines, markets and distributes transportation fuels and lubricants; manufactures and sells petrochemical products; generates power and produces geothermal energy; and develops the energy resources of the future, including biofuels. Chevron is based in San Ramon, Calif.